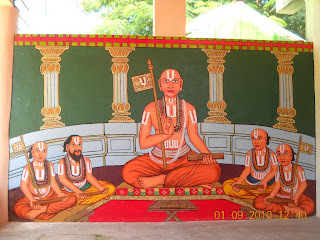 Thiruvarangathu Amuthanar in his “Ramanuja Nootranthathi” paid rich tributes to Azhwan stating he was the person able to be devoid of pride though he possessed the qualities of high caste, good education and followed anushtanam with vairagyam. Much before the innovation of Computer, e mail, facebook and other social linking forums, letters were the most common mode of exchanging communication. Post cards and inland letters were the lifeline of millions of Indias. Still a handwritten letter from a friend or a relative would give you much more happiness than the ever ringing disturbing sound of e mails in your system. The Department of Posts (India Post) is a Govt department. The postal service with more than 1.50 lakh offices is the most widely distributed system network. It has a very long history and the British East India Coy established post office in Chennai way back in 1764. 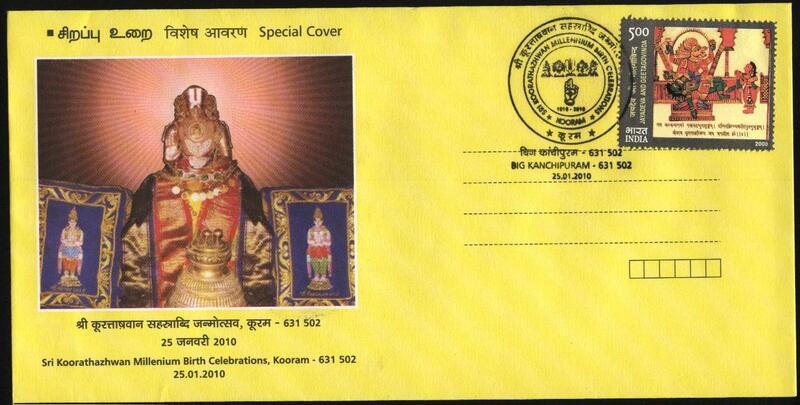 The cost of sending a post card or a cover is very low. Upon payment, the Department issues postage stamps which are to be affixed on the letters. Even before the invention of ink, these stamps were in vogue – made from wood or cork in those days. The present day postal stamp is made of a special paper with national designation and denomination on the face of it and has a gum adhesive on the reverse side. There are definitive and commemorative stamps. Definitive stamps are the ones for the day to day use. 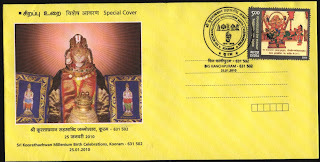 There are special stamps issued to commemorate important events, prominent personalities in various fields, National issues etc., These are printed in limited quantities. Recently had occasion to go to Mathuramangalam, the birth place of Swami Embar on 1026 AD. Whilst Swami Ramanuja is considered as incarnation of Thiru Ananthazhwan, Swami Embar was the incarnation of Periya Thiruvadi. Embar was relative of Ramanajuar. He was named as Govinda Bhattar. He took sanyasa from Udayavar himself and later came to be known as Embar. 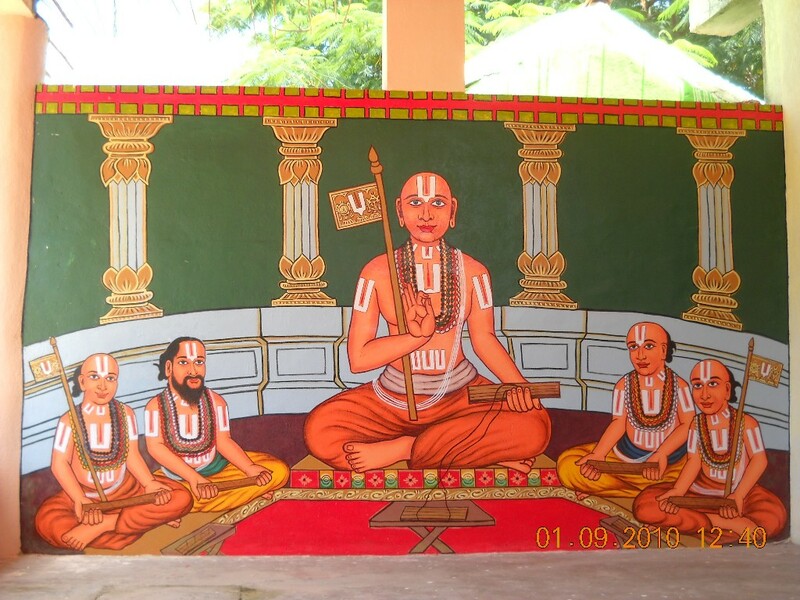 The Jeeyar mutt at village Mathuramangalam is being renovated and at the façade, a beautiful painting depicting Udayavar, Mudaliandaan, Koorathazhwan and Embar adorns the entrance. This painting was so attractive and here is a photo of the same.